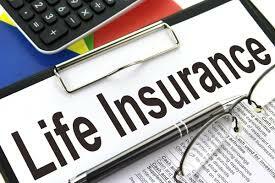 The cause of death was denied life insurance - Life insurance is a financial program that is widely used in the community, in particular the head of the family, to guarantee his family's finances. These insurance funds will be given to the beneficiary when insurance participants experienced an accident that caused his death or total permanent disability so that it can no longer earn a living for their family members. The amount of the sum assured is paid by the insurance company are not the same, all depends on the amount of premiums paid by participants of insurance as well as a few other things. This is very useful to have insurance, especially for beneficiaries who are financially dependent entirely on participants of the insurance. If the participant is already in the diagnosis or have symptoms of a disease and occurs before the validity period of the policy, then the rest of these diseases will be included in the conditions of the pre-existing condition. If at any time the participant died due to this disease, then declared void, insurance policy or insurance company has no obligation to pay the sum assured on heirs left. If insurance participants died of a death sentence being dropped by the courts on the participants of the insurance. Insurance participants who died of su1_c1d3 or suffered permanent disability total due to attempted su1_c1d3 will not be entitled to sum assured. Participants who experience the total permanent disability or death while doing criminal acts in any form and against anyone indirectly will be disenfranchised got sum assured company. Participants involved in the activities of the military official, or a variety of other war crimes such as riot, civil war, riots, and other similar actions will cancel the insurance policy. Participants who died from a plane crash in addition to commercial aircraft (such as military aircraft, private aircraft). Participants who died due to the use of illegal drugs (Narcotics) or due to consume alcohol. Participants who died from natural disasters in any form and includes if exposed to the reaction of atomic nuclei. If the participant died while participating in extreme sports (parachuting, rock-climbing) or other sports (diving), either in the form of a match or not. Participants died of any cause and occurs before the policy took effect. Participants experience a mental disorder and finally suffered disaster to death or total permanent disability.